Losing a member of the family is stressful, painful, and agonizing. It causes grief that takes time to heal. With these overwhelming emotions comes the things that you need to prepare for the funeral such as the place of the wake, the date of interment, and funeral thank you cards to be given to everyone who showed up. if you have family and friends that can help you plan this, then it is good but if you don’t, hiring a funeral service manager that can arrange such small details for you is highly advisable. Sending a funeral thank you card with a handwritten thank you note speaks a lot to the one who will receive it. With different options to send a message such as text or email, people appreciate it when someone expresses gratitude in a personalized way such as a handwritten thank you card. Regardless of the type of funeral thank you card you will send, it will still surely show your gratitude to those who stayed with you at such a bad time. 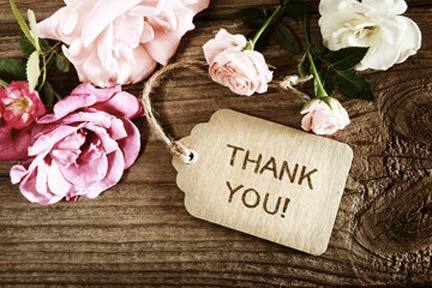 Who Should You Thank After the Funeral? Having a funeral is exhausting. While dealing with the grief and sadness of losing a loved one, you still must deal with a lot of things in order to give your loved one a deserving funeral. When relatives and friends step in, then you should at least take note of them to thank them after the funeral. You can also write their names in a small notepad or notebook that you can take with you from time to time, so you won’t forget about them. Here are some of the people that you should automatically send a funeral thank you card. Those who sent flowers, food, memorial gifts, etc. For some, writing and sending a funeral thank you card is the last thing they want to do after holding a funeral. They say writing such is like accepting once again that your loved one is totally gone forever. You probably don’t want to become ungrateful, you just can’t face the reality yet and you just want it to set in slowly. If you are one of these people, how can you overcome the challenge of writing and sending a funeral thank you card?